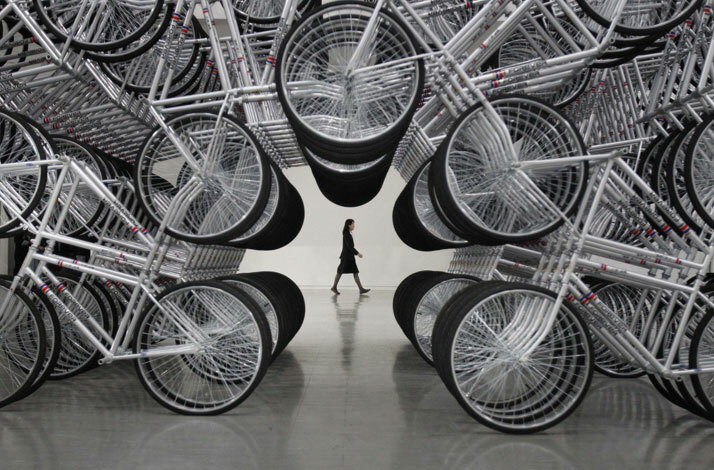 Remember the ''Forever Bicycles'' structure made of 1000 bicycles piled in layers inside the Taipei Fine Arts Museum during world-renowned Chinese artist and activist Ai Weiwei's ABSENT exhibition in October 2011? 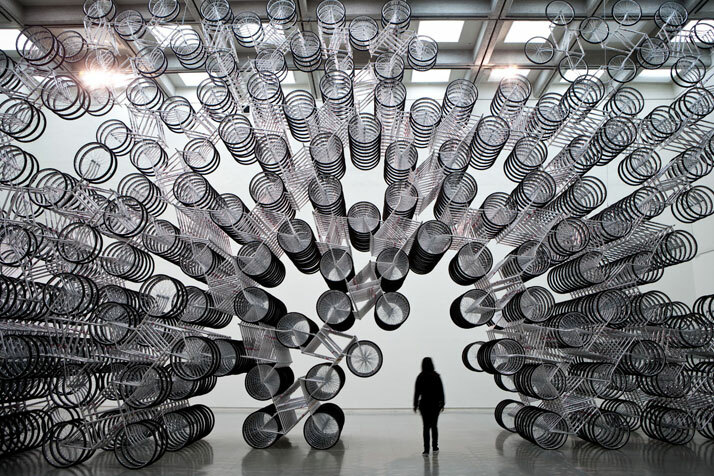 Two years on, Ai Weiwei has gone on to create an even bigger three-dimensional structure made of 3,144 interconnected bicycles. 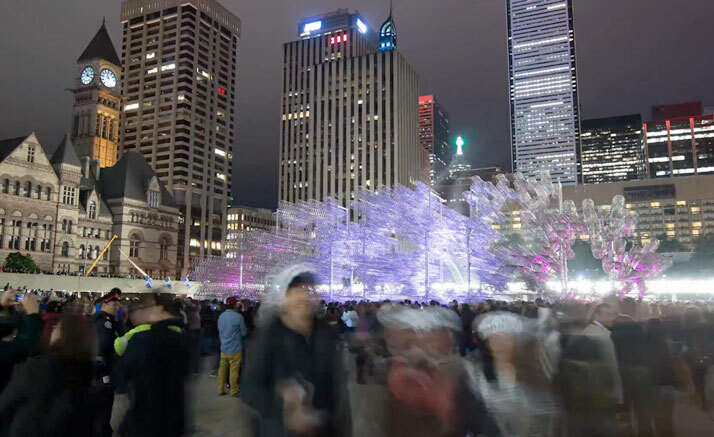 Forming a complex labyrinth-like monument, this is the artist’s reflection of his perception of the rapid pace of society both in China and around the world. 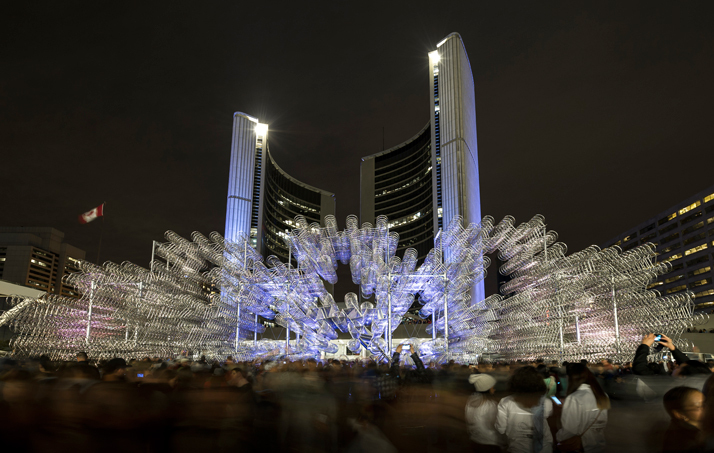 On public view from 7 till 27 of October 2013 on Toronto's Nathan Phillips Square, Weiwei’s artwork will feature as one of the contemporary art projects presented during the annual Scotiabank Nuit Blanche festival. 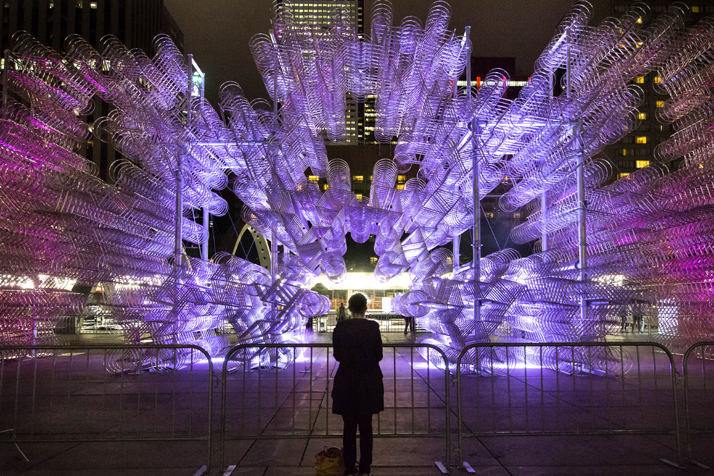 For those of you who won't have the opportunity to see it live, the City of Toronto has commissioned cinematographer and time-lapse photographer Ryan Emond to capture this colossal structure during its construction. Watch it come alive from the ground up - to its final height of 30 feet, in less than four minutes! Video screenshot © Ryan Emond.